Most of us already know that I love blue. It’s hard to find an outfit of mine without some shade of blue in it. So I decided to take it all the way and wear all blue or in this case all navy blue. 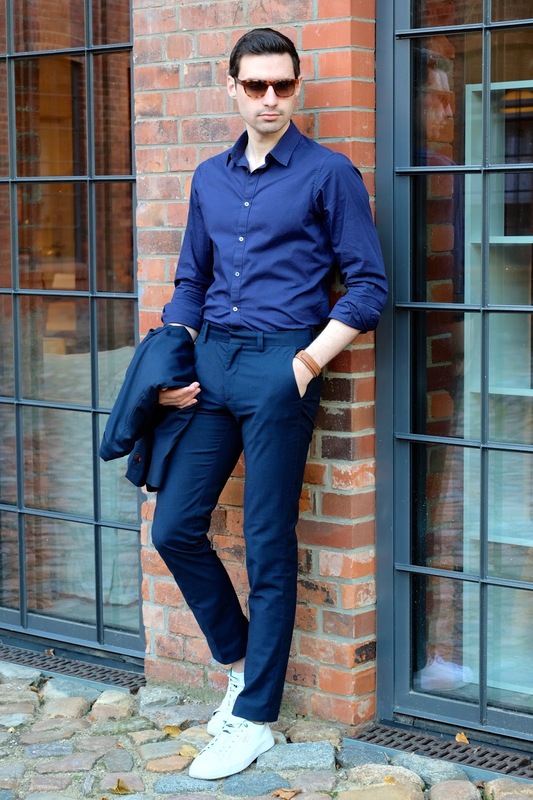 The look is very simple and can easily be done with any blue suit that you have. 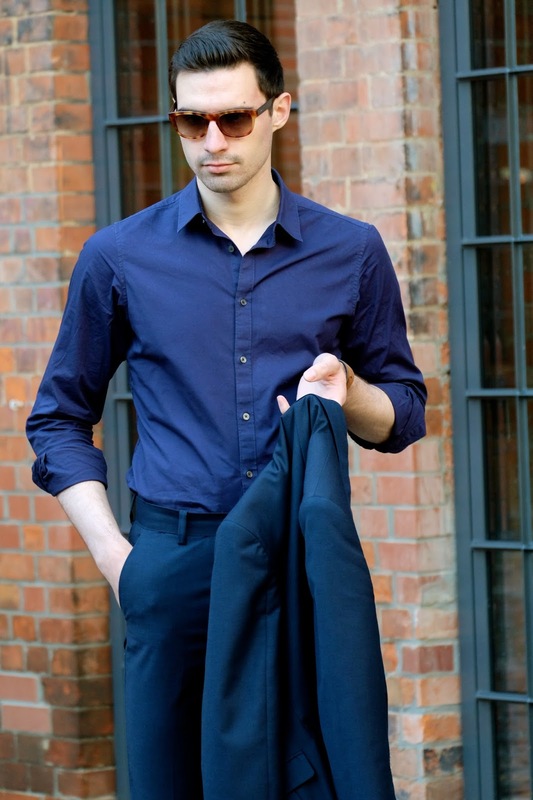 If you wanted something a little on the safer side then I suggest wearing a lighter blue shirt instead of a dark one. I also think it’s best to stay away from going 100% blue with blue shoes. I tried blue loafers on but thought it was too much and decided that white sneakers looked cleaner and brought the whole look together. A brown loafer or monk strap would also be fine but would make the outfit slightly more formal. I hope you all like the look and have a great and stylish weekend. Navy looks great on you!